Pig Spit Fast Detail cleans, restores luster, and removes dust. Case includes 6 Spray Bottles 22 oz. each. 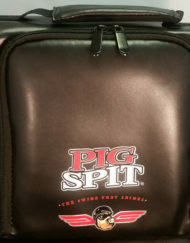 Pig Spit Fast Detail is an easy-to-use spray detailer. Quickly removes dust and oils for a quick just waxed look.